Is the company generating enough Free cash ? This ratio helps us to understand how much Free cash (Cash remaining after deducting Expenditure),the company is generating ,The Free Cash Flow/Operating Cash flow measure the relationship between Free cash & Operating Cash. 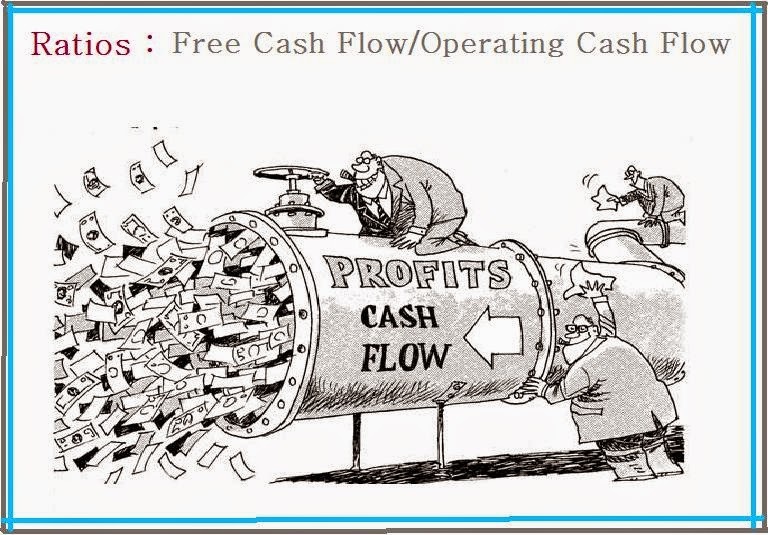 Free cash flow is defined as Operating Cash Flow minus the capital expenditures,This free cash is what a company use for expansion,acquisition,financial stability or to use this funds when the markets are not doing good. The Higher the percentage of this Ratio the better the financial strength of the company. Google Feed burner is free & allows to directly deliver any new post on this blog to your email .If you are interested kindly enter your Email in the “Subscribe Via Email” on the top left hand side of the navigation menu’s. · Top 6 Ratios for analyzing a stock. This post s perfect to gather the information related to the trading indicators which are very necessary in trading.